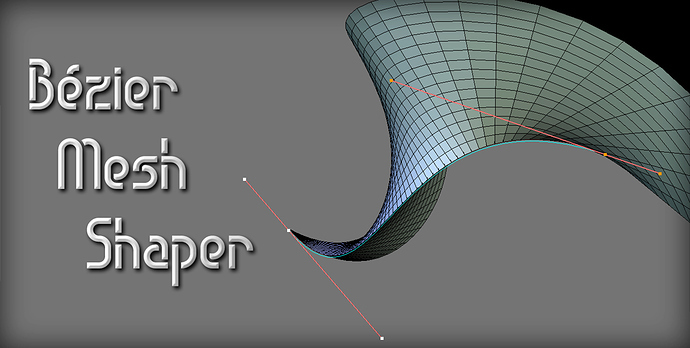 Bézier Mesh Shaper is a new mesh editing tool for Blender 2.79 and 2.80 that saves you time. I was after something that was quick to use but still gave you plenty of control over your mesh form. Select two or more vertices. Manipulate the 3D curve and it will reshape your mesh. Press Enter to confirm or Esc to cancel. 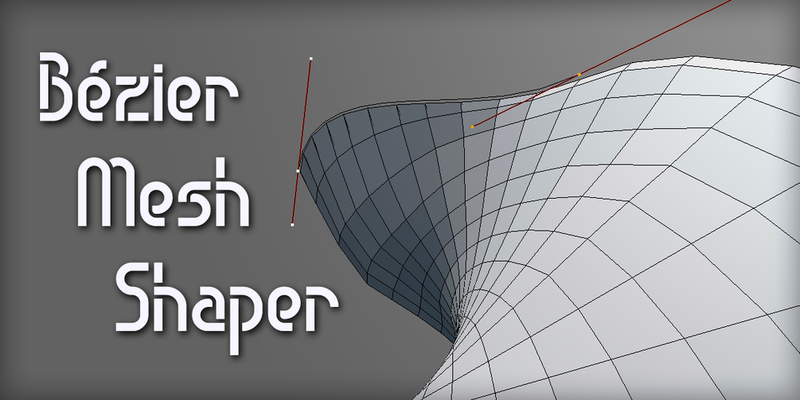 A modeling tool for Blender 2.79 and 2.80 that lets you use curves to deform your mesh, allowing you to make beautiful shapes. If these interest you then do let me know. If enough people want any of these then they can be implemented. How to deform selected edge with control points? It looks really useful. I’d definitely be interested in using it in 2.8.
you put that in 2.8 and add points as an option and i’d youd have a deal. also on gumroad add a + on the amount. Man, please, 2.8 support. It looks wonderful. It looks great but if it is possible to edit the grid without “Proportional Editing”? I mean a situation in which I would like the curve to influence only one edge. How cool, thanks for comments guys! Right now its a single script that runs on 2.79 an .80. In the next update it can be split into two scripts so it’s cleaner. If you already have it you’ll get the updated version from a Gumroad email. But this kind of “connected vertex” selection will always give you a curve with 2 control-points. If you want more control-points then you can use that “separate points” method, or maybe there could be a new way to mark where you want the control-points to be. Hi. You can completely disable it in the Falloff Menu (W). Then only a single line of vertices will move around. I added my email on that Gumroad page. If anybody has a suggestion, found a bug, refund etc. drop me an email. I’m gonna work on some other things for this script, brb. i cant wait to get started with this! Can it be used in sculpture? Smooth with curves,Smooth with plane, flatten, pinch, etc. It would be great if you could implement these functions. Also, maybe add a tweet button on there so we can tweet that we got it so you can get some traffic. bought instantly to support it for 2.8. Is there an option to restrict edits to certain axis? (including custom orientation). 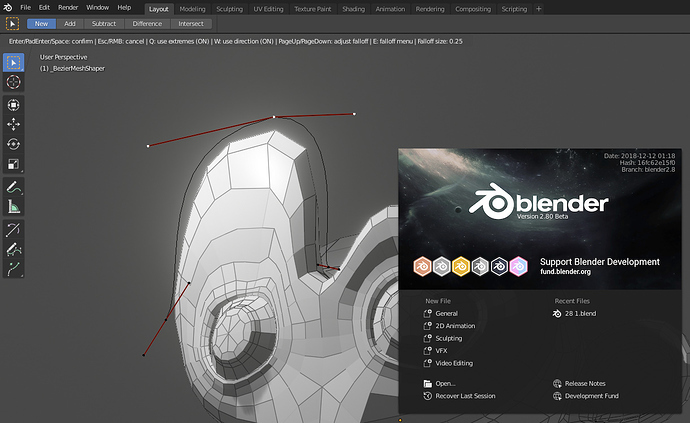 Great stuff, this is what blender needs. Looks like Suzanne got her eyebrow raised on this one. Got the add-on. good luck with the development ! This is incredible useful. On 18th you will have +1 unit sold. Thanks for the 2.8 support.